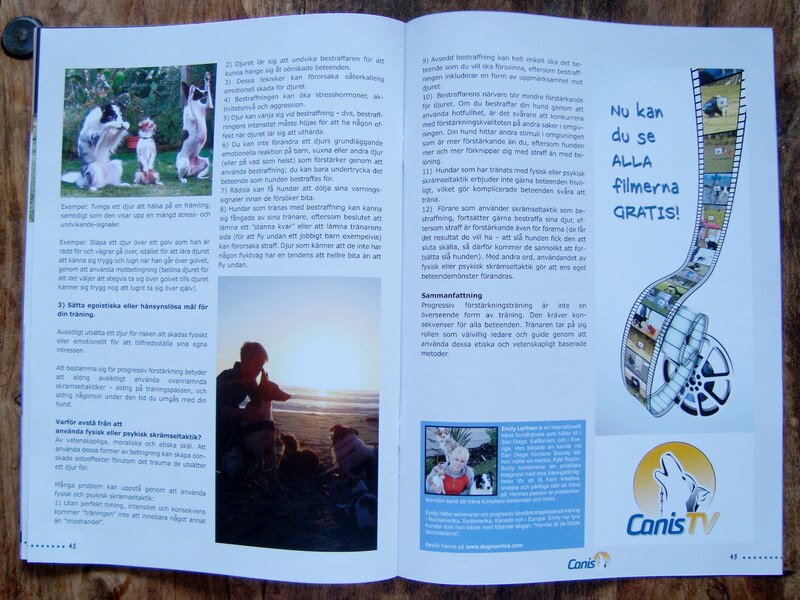 The Progressive Reinforcement Training Manifesto by Emily Larlham was published in Canis Magazine. A wonderful dog training magazine here in Europe! That is wonderful, Emily! It looks really nice! I am giving it 2 dewclaws up. 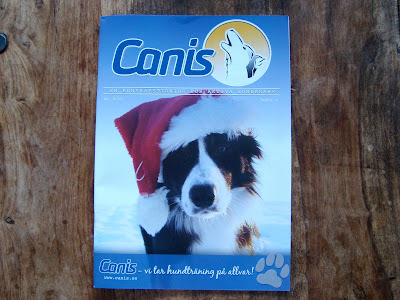 your videos were the first dog training videos I came across on the internet, and I've watched all of them before I even got my dogs hoping to apply what I learned to the dog I would eventually get. When I got my Olive (a two year old terrier mix) from the shelter, I really wanted her to start clicker training, but she's so scared of the clicker, she won't come near me when I'm holding one! She's not play or food driven, and so I tried to associate the clicker with affection, but she's still too scared of it. I tried doing the "yup" instead of clicking, but it's not really working well either. She also has severe separation anxiety, which is up to the point she cries if I leave her sight. I try not to reinforce the crying by just continuing my own thing when she cries, but it seems to make it worse. Please help, I don't want to send her back to the shelter. Thanks for sharing this information, it is really relevant. Keep the same. We guarantee that when your dog completes training, It will have the ability to focus on you and fit in with your family. I can agree with your all dogs training tips.In my suggestion dog collars and leashes plays vital role in Henderson Dog Trainers. Dogs collars can give indications with laser beam light.